The Cardinals defeated the Broncos in the First Round of the 2018 NCAA Tournament, en route to their third Final Four appearance since 2009. 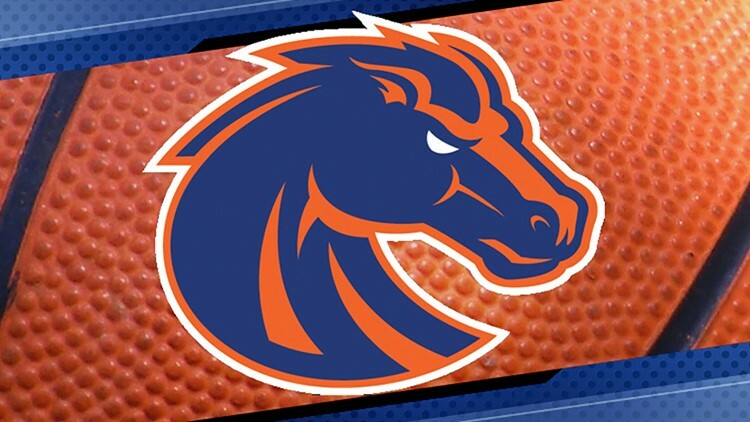 BOISE -- A familiar foe is headed to Boise this fall. The Boise State women's basketball team will host Louisville at Taco Bell Arena on Monday, Nov. 19. The home game against a top-tier opponent highlights the Broncos' completed 2018-19 schedule, announced on Tuesday by Boise State. The Cardinals defeated the Broncos 74-42 in the First Round of the 2018 NCAA Tournament, en route to their third Final Four appearance since 2009. Players already have the game circled on their calendars. "It's going to be a big opportunity for us," said Boise State senior Marta Hermida. "That's what we're working on, to beat teams like Louisville. Last year, we went there and they beat us by a lot. So now, we want revenge. We want to beat them and show them that we're going to be able to beat good teams this year." Boise State won the Mountain West Conference championship for the second year in a row in February, punching its ticket to the Big Dance. Other notable non-conference games include a home tilt against Cal State Northridge, another 2018 NCAA Tournament team, and road trips to Long Beach, Pullman and Seattle. The Broncos will play in the Long Beach Classic tournament on Nov. 23-24 before taking on Washington State on Dec. 1. The team will play in the Washington Tournament in Seattle from Dec. 15-16. Boise State's opponents in Long Beach and Seattle are still to be determined. The Broncos will close non-conference play at Taco Bell Arena on Dec. 19, against Southern Utah. "We're excited about our upcoming non-conference schedule," Boise State coach Gordy Presnell said in a statement. "Our goal is to challenge ourselves with opponents that will prepare us for not only the competitive Mountain West season, but also for the pressure and expectations that come with playing in March. "We're looking forward to hosting Louisville, and hope that our fans show up to support us in what will be one of the biggest home games in my tenure here," he added.